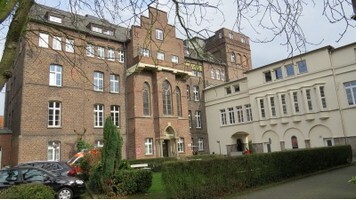 Hospital St. Mary is a highly specialized clinic located in Kaiserswerth in orthopedic surgery. Every year more than 12,000 patients are treated here. The clinic specializes in operations on the replacement knee and hip joints, as well as corrective operations. Clinic doctors use the most advanced surgical techniques.